The newest section of the Fayetteville Outer Loop extends N.C. 295 west to the All American Freeway. Collector distributor roadways presently carry mainline traffic between N.C. 210 (Murchison Road) and the north-south freeway. Photo taken 01/01/17. 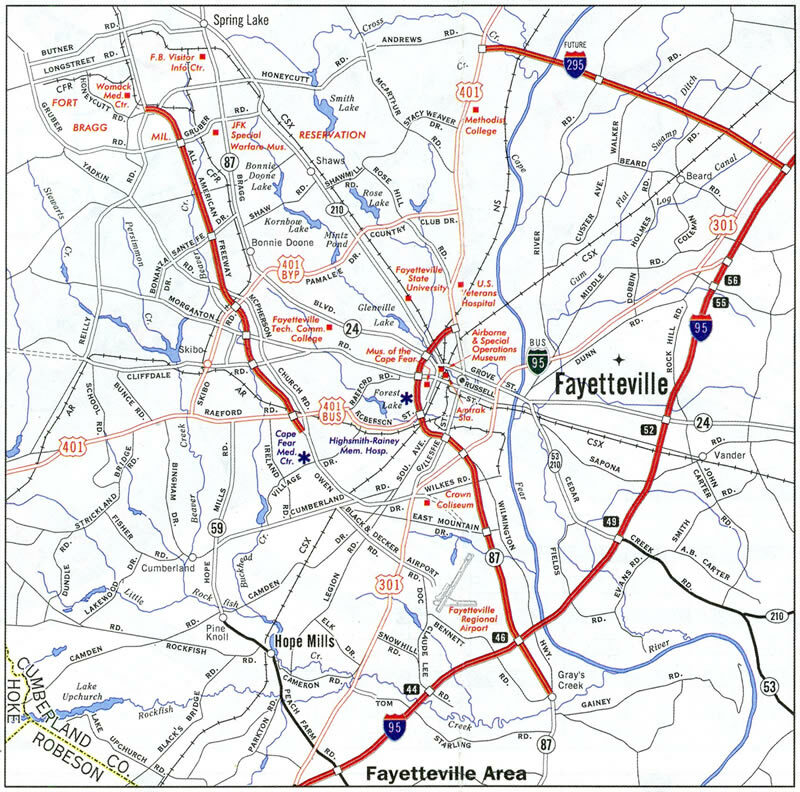 Interstate 295 is the designation for the partially completed Fayetteville Outer Loop encircling Fayetteville. 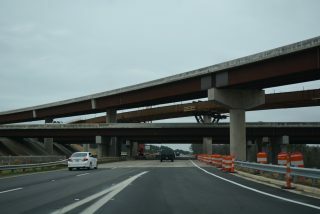 The freeway improves connectivity between the US Army’s Fort Bragg and I-95, as well as providing a new commuter route between the base and city of Fayetteville. The loop had been listed by various sources as being 27 miles long1 and 40 miles long 2. The final design takes I-295, 39 miles around the north, west and south sides of Fayetteville.7 The current route connects Interstate 95 and U.S. 13, by the town of Eastover, with the All American Freeway at Fort Bragg. Sign changes made in 2014 redesignated the original seven-mile section joining U.S. 401 (Ramsay Street) with I-95 from Future I-295 to N.C. 295. This designation is temporary, awaiting both the completion of the loop and upgrades to bridges along the route and interchange with I-95/U.S. 13. 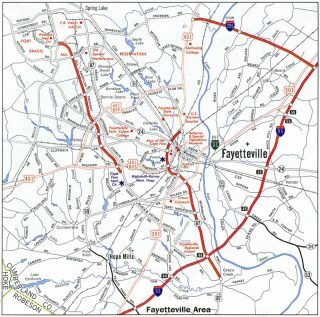 The Fayetteville loop was first considered in 1977. Discussion for the road continued through the Governor Jim Martin administration to 1993 and further by U.S. Rep Richard Hudson and Fayetteville Major J.L. Dawkins around the year 2000.6 An Interstate designation was eventually sought, with North Carolina officials submitting Interstate 195 to the American Association of State Highway and Transportation Officials (AASHTO) on May 30, 2003. That choice was rejected. On May 6, 2005, North Carolina resubmitted the Fayetteville bypass to AASHTO, this time requesting the designation of Interstate 295. 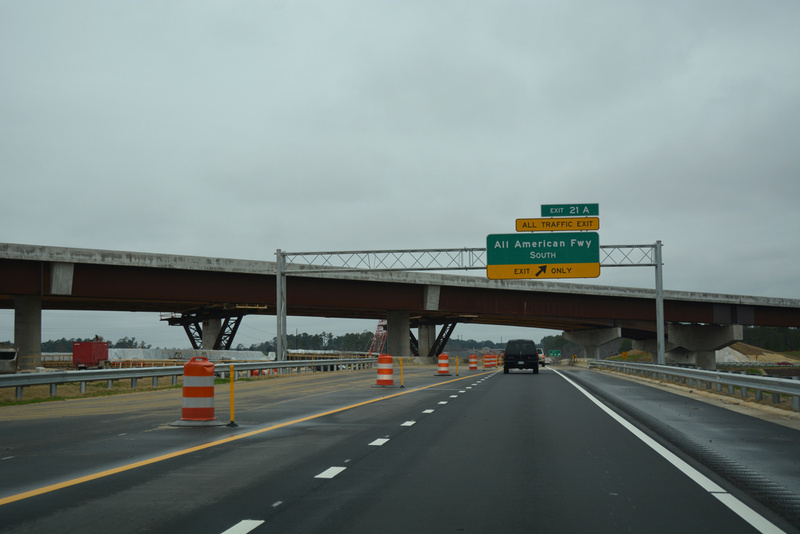 AASHTO approved I-295 as a future route, with signs erected along completed sections of the route soon thereafter. The first two segments of Interstate 295 opened were the section from U.S. 401 (Ramsay Street) to River Road on June 16, 2003,2 and the section from River Road east to Interstate 95 and U.S. 13 on July 7, 2005.3 The initial segment generally served local traffic. The next phase of road work for Interstate 295 underway is the 6.7 mile segment from the All American Freeway south to Cliffdale Road. A $125.4-million contract was awarded for the project in August 2014,5 and scheduled for completion in October 2018.7 However a design change in this segment adding a $2 million tunnel to accommodate Fort Bragg military vehicles pushed the scheduled completion back to Summer or Fall 2019.9 Subsequent construction included a $85.2 million design-build contract awarded in March 2016 for I-295 south from Cliffdale Road to U.S. 401 (Raeford Road). The 2004 North Carolina Official State Map showed the completed segment of Future I-295 between U.S. 401 and River Road as North Carolina 13. 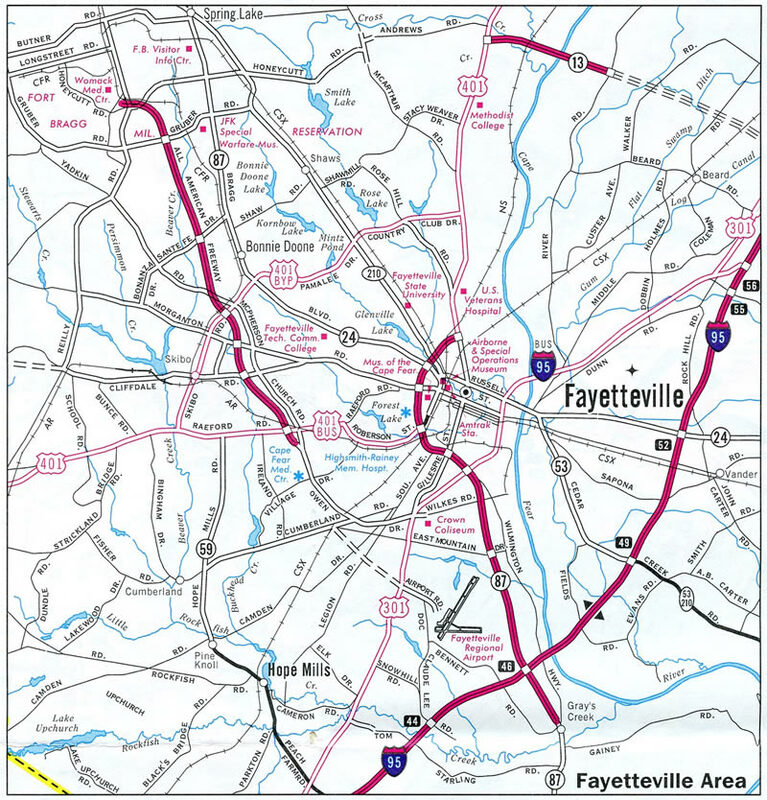 The 2006 North Carolina Official State Map showed the Fayetteville Outer Loop as complete between U.S. 401 and I-95 and signed as Future Interstate 295. 2009 parcel map showing the west end of Interstate 295 and its eventual extension to McArthur Road. A cloverstack interchange connects the All American Freeway with the Fayetteville Outer Loop by Fort Bragg. Photo taken 01/01/17. Exit 58 departs from Interstate 95 south for both U.S. 13 north to Newton Grove and the North Carolina 295 freeway west to Fort Bragg. Photo taken 01/01/17. A high speed ramp links I-95 south with NC 295 south while an at-grade turn takes motorists east to the northbound beginning of U.S. 13. Photo taken 01/01/17. Traveling north on NC 295 (former Future I-295), the first advance signage for Interstate 95 (northern terminus) appears after the River Road interchange. Use Interstate 95 north to Benson and Raleigh and south to Fayetteville, Lumberton, and Florence. Photo taken 05/30/07. The interchange with Interstate 95 was opened to traffic on July 7, 2005, with a flyover to make the connection to Interstate 95 north. Photo taken 05/30/07. High speed ramps connected the north end of NC 295 with Interstate 95 north and south. The freeway otherwise defaults onto the northbound beginning of U.S. 13. Photo taken 05/30/07. A high speed flyover shuttles motorists onto Interstate 95 north toward Raleigh and Richmond, Virginia with two lanes. Photo taken 05/30/07. An end shield appears for NC 295 north at the northbound off-ramp from I-95. U.S. 13 takes over along the four-lane roadway and travels east to Spiveys Corner and Newton Grove. Photo taken 01/01/17. The first appearance of signage for Future Interstate 295 on northbound Interstate 95 was posted after Exit 55, Murphy Road. In addition to serving as the northern terminus of Future Interstate 295, Exit 58 serves as the southern terminus of U.S. 13. From here, U.S. 13 travels north to Morrisville, Pennsylvania, by way of Newton Grove, Goldsboro, Greenville, the Hampton Roads region, the Delmarva Peninsula, Wilmington, and Philadelphia. Photo taken 05/30/07. Future Interstate 295 initially extended west from Interstate 95 to U.S. 401. Signs were changed to reflect North Carolina 295 in place of I-295 by 2014. Photo taken 05/30/07. Northbound Interstate 95 reached Exit 58 for Future Interstate 295 west to Fort Bragg and U.S. 13 northeast to Goldsboro and Kinston. The off-ramp is not a freeway-to-freeway connection, with at-grade turns required for NC 295 and U.S. 13. Photo taken 05/30/07. Beyond the intersection with SR 1863 (Pembroke Lane), U.S. 13 south intersects the north side ramps with I-95, where the US route transitions to NC 295. Photo taken 01/01/17. A short segment of North Carolina 295 opened to traffic on December 2, 2016, extending the route west to the All American Freeway (Exits 21B/A). Motorists shift from the freeway mainline onto the collector distributor roadway west of the bridges near Bonnie Doone Lake. Pavement along the main roadways were already laid by January 2017 for the next segment to open south to Cliffdale Road. Photo taken 01/01/17. What will eventually be a three-lane c/d roadway currently separates traffic at the west end of NC 295 for the All American Freeway north into Fort Bragg and south to Fayetteville. 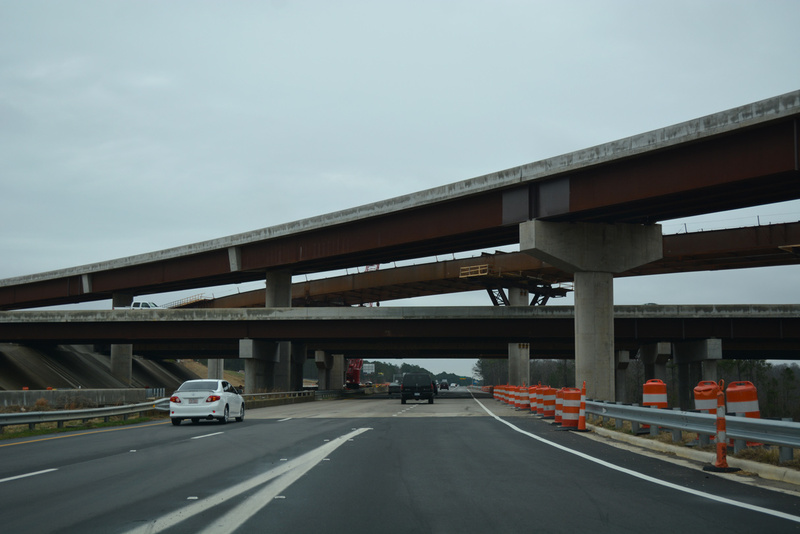 A high speed flyover will take traffic exiting Fort Bragg to NC 295 east. Photo taken 01/01/17. Exit 21A loops below the flyover for NC 295 east to the All American Freeway south. NCDOT proposed numbering the freeway as NC 555 in 2014, but signs for the route have not been posted as of January 2017. The freeway leads south to Owen Drive, which connects with Business Loop I-95 south to I-95. Photo taken 01/01/17. Interstate 295 will tie into I-95 just south of the Cumberland County line in a rural area east of Robeson County. Future I-295 west crossed the Cape Fear River and a Norfolk Southern Railroad line to end at a half single point urban interchange (SPUI) with U.S. 401. The section leading west to NC 210 opened to traffic on August 11, 2016. Photo taken 05/30/07. The interchange with U.S. 401 was completed as a single point urban interchange. This view looks at the previous half opened exit. U.S. 401 follows Ramsay Street south along a four lane arterial toward the city center and a rural route north to the town of Lillington, where it merges with NC 210. Photo taken 05/30/07. Shield assembly posted along U.S. 401 southbound between Andrews Road and the half opened single point urban interchange with Future I-295. The initial segment of I-295 ran east from here in 2013. The freeway was extended west in 2016. The I-295 shield was replaced with an NC 295 shield by 2015. Photo taken 05/30/07. 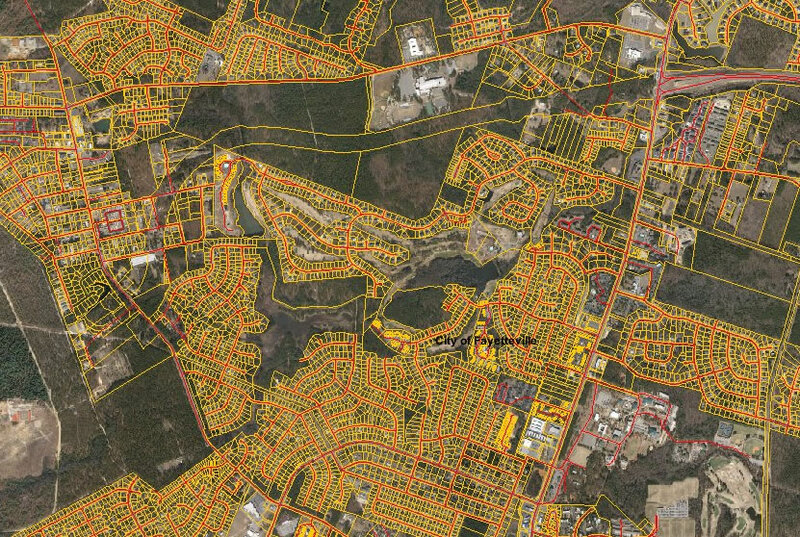 “Fayetteville’s Outer Loop segment opens, connects Bragg Boulevard and Murchison Road.” Fayetteville Observer, August 4, 2014. “Gov. McCrory says finishing Fayetteville Outer Loop a priority.” Fayetteville Observer, September 18, 2014. “I-95 to Bragg Blvd. section of Outer Loop open to traffic.” Fayetteville Observer, August 12, 2016. 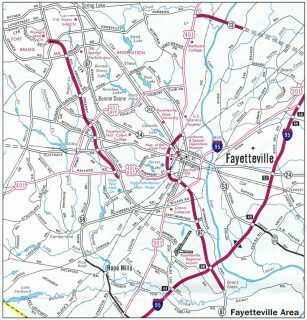 “State Opens New Section of the Fayetteville Outer Loop.” NCDOT, news release, August 11, 2016. “Next Section of Fayetteville Outer Loop Ready to Open.” NCDOT, news release, December 1, 2016. “New segment of Outer Loop project delayed until 2019.” The Fayetteville Observer (NC), November 13, 2018.